I just couldn't make this one. I searched pinterest and the web for recipes and instructions. I needed a little bottle with the spoolie and I didn't want to search for ever for said bottle. 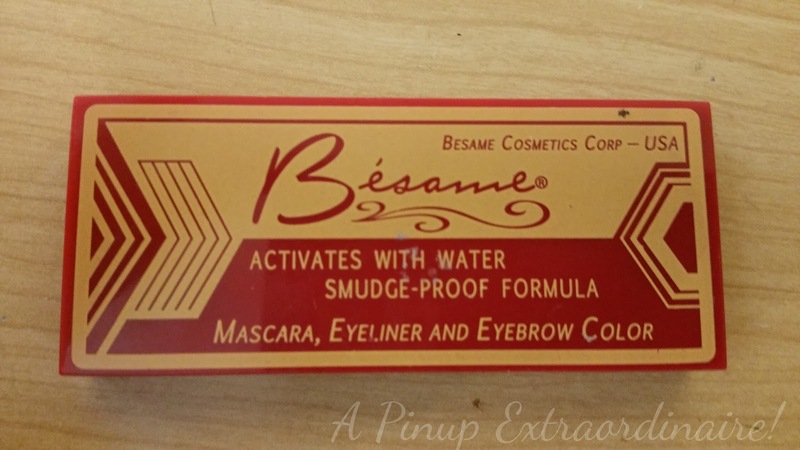 Instead, I rummaged through my make up and found my Besame cake mascara. It also doubles (or triples) as eyeliner and brow color. I've never had much success with it as eyeliner. 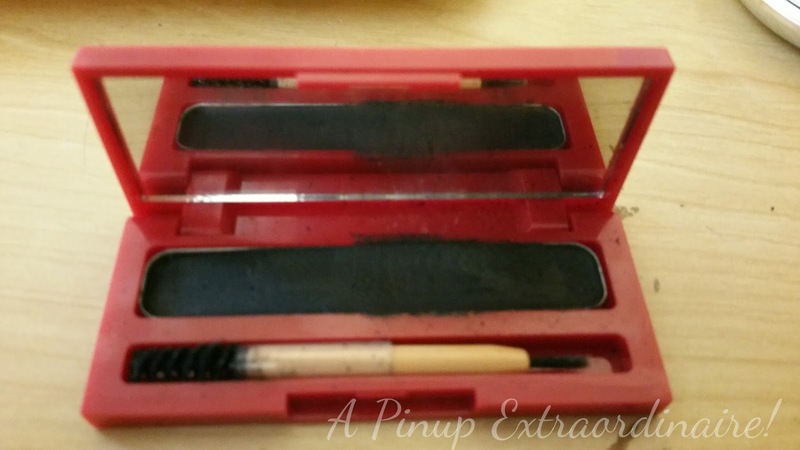 To make mascara I add a little water (a drop or two) and make a paste consistency using the wand end of the brush. Then load up the wand and apply. It creates a different effect than traditional mascara - instead of lengthening it creates fluffier looking lashes - similar to adding shaved velvet to the lashes (a trend popular in the late '50s/early '60s). I also searched for less expensive natural mascara on etsy. I found two that I considered - both are under $20: All Natural Mascara by Greentree Cosmetics ($8) and Flawless Black Lashes Natural Mascara by MoodySisters ($12.50). I definitely look forward to trying out both of these when my current tube runs out. Ever used the Besame cake mascara or another cake mascara? What was your experience? Share below, please!